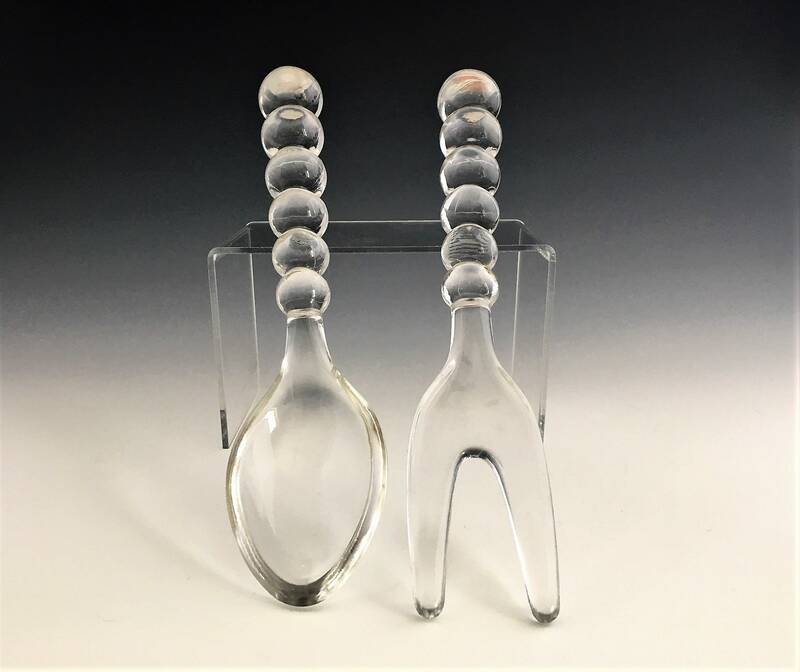 Featured is a beautiful salad fork and spoon from Imperial. It's part of their popular Candlewick pattern that dates back to the 1940's. They measure about 9 1/4 inches long and are in excellent condition, free from any chips or cracks. Both pieces for one low price.